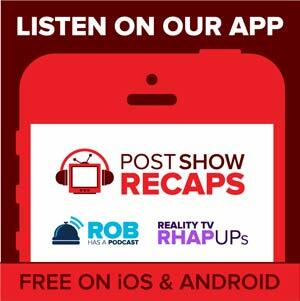 LIVE at 10:15 pm ET / 7:15 pm PT, Rob Cesternino and Josh Wigler recap The Walking Dead Season 5, Episode 6 entitled, “Consumed”. What was the symbolism behind all of the fire and smoke that Carol saw in the episode? Did Carol intentionally get hit by the car? Has the pace of Season 5 slowed down too much? How will Rick respond to finding out where Beth and Carol are being held? Is the show setting up a romance between Daryl and Carol? Are we buying that Noah and Daryl would work together now? Can there be redemption for Carol? What was the significance of Daryl smoking the cigarettes at the end of the episode? What are the chances that the van would land on the wheels after falling off the bridge? 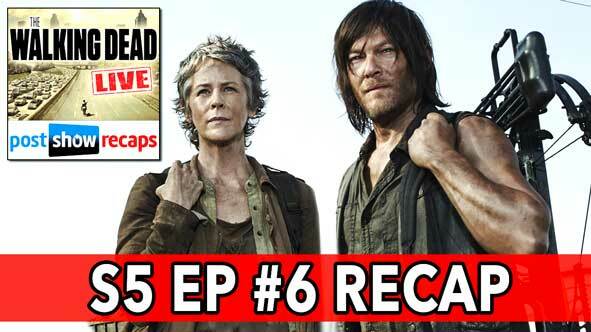 Join us again for our live review immediately after the episode next week at 10:15 pm ET on Sunday.